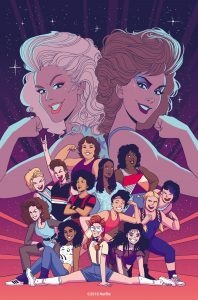 IDW Publishing enters the world of hairspray and headlocks with the announcement of a four-issue comic book miniseries based on GLOW, the acclaimed Netflix Original comedy series. Dynamite Entertainment announces a full offering of Pathfinder items that will appeal to all kinds of fans. Whether they have been tabletop gaming since 1974, just picked up their first set of dice, or just appreciate stunning statues and high quality comic book storytelling – there is something here for everyone! 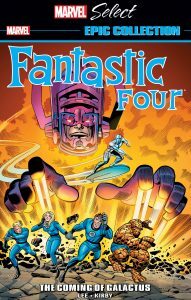 Marvel Select: Your Essential Marvel Reading List is Here! 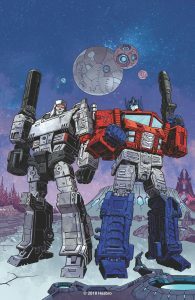 IDW Publishing proudly announces that a brand-new Transformers series will debut in March 2019 that will explore the very moment when a glorious, peaceful Cybertron begins its downward spiral into chaos. 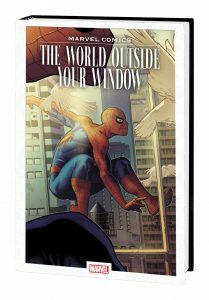 Since its inception, the Marvel Universe has been creating stories to reflect the world outside your window—and now, some of the most powerful tales from Marvel’s 80-year history are being collected into one larger-than-life volume! 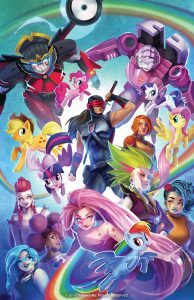 In recognition of Women’s History Month, IDW Publishing and Hasbro Inc. (NASDAQ: HAS) have teamed up to create Synergy: A Hasbro Creators Showcase, a 48-page celebration anthology of fan-favorite creators and new talent working with many of the most beloved Hasbro characters. In life, Bettie Page was the undisputed queen of the pin-up. Her legacy has lived on through comic books for decades. In March 2019, Dynamite is celebrating with a special 32-page one-shot showcasing all the beautiful covers from the Dynamite comics. Prepare for WAR OF THE REALMS this April! 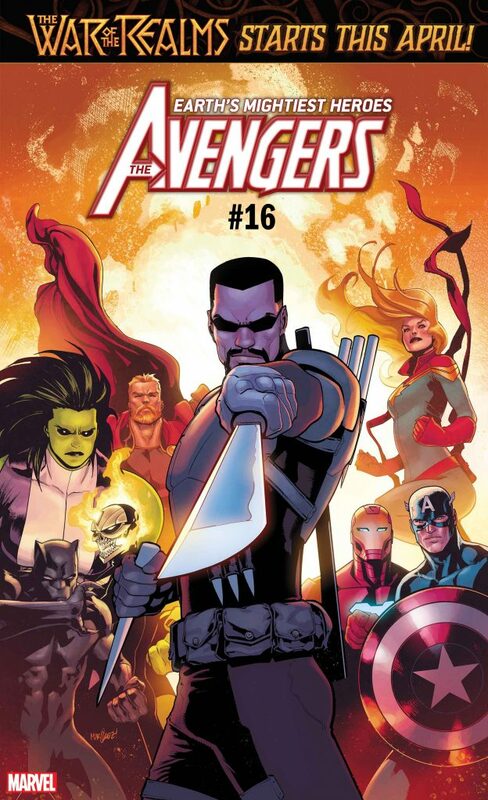 The War Of The Realms is coming…and no corner of the Marvel Universe will be untouched! But before the award-winning creative team of Jason Aaron, Russell Dauterman and Matthew Wilson ushers in this epic event, Marvel invites you to journey on the road to the War of the Realms with some of the universe’s biggest heroes! 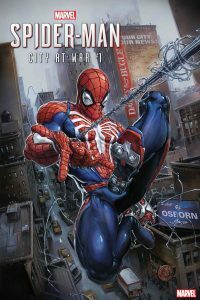 Marvel’s Spider-Man Swings Into The Pages of Marvel Comics! 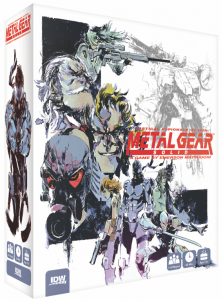 The fan-favorite and critically acclaimed Marvel’s Spider-Man has taken the world by storm – and now the video game’s web-slinger is leaping into the pages of Marvel comics! Starting this March, all your favorite Spidey characters are presented in new and surprising scenarios as Peter Parker’s civilian and superhuman worlds collide in the game’s original, action-packed story! 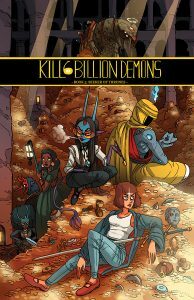 Tom Parkinson-Morgan, known to his impressive online following as Abbadon, will release a trade paperback collection of the third chapter of his popular ongoing webcomic Kill Six Billion Demons this March from Image Comics. 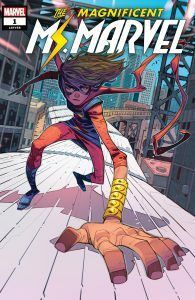 A New Era of MS. MARVEL Starts Now!